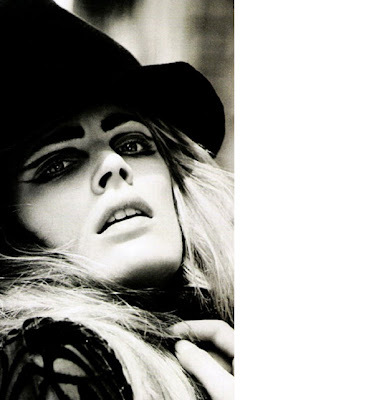 xLeah de Wavrin is with One (NY), Elite (Paris), Elite (Milano). PONY RYDER: Are you like a real French, enjoying food? LEAH DE WAVRIN: I live to eat! PONY RYDER: Do you eat escargot? LEAH DE WAVRIN: They are so yummy! PONY RYDER: How do you eat them? LEAH DE WAVRIN: You just pick them with a little “fourch” from the shell, they usually come with garlic butter. PONY RYDER: The best place to have a drink in Paris? PONY RYDER: The best place for nights out? LEAH DE WAVRIN: BC in Paris, Le baron, NEO, Regine, Mathis. PONY RYDER: Who does your hair (in Paris)? PONY RYDER: Where do you shop? 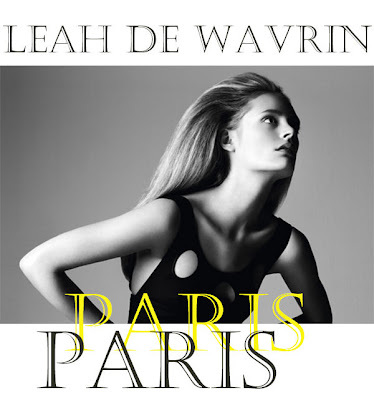 LEAH DE WAVRIN: Anywhere I can! PONY RYDER: Where are the best vintage shops that you’ve ever been to? PONY RYDER: What do you do when you're traveling… all those long hours on the airplane? LEAH DE WAVRIN: I take sleeping pills, or watch Movies or listen to my Ipod, read. PONY RYDER: Speaking of airplanes, do you have a favorite airline? Model City Guide with Leah De Wavrin is original work by Pony Ryder.